2015 has passed quickly, and we have made many significant advances and achievements in technology. More importantly, the Internet of Things (IoT) has been a hot topic and took over this year connecting billions of devices. IoT is a simple concept that enables devices to communicate intelligently through the internet and turns devices into smart devices. The year has been profitable and productive for this rapidly growing IoT industry. According to a recent BI report, the number of IoT devices installed has reached 4.2 billion units worldwide, and they predict that it may increase about six-fold by 2020. With billions of connected devices, IoT will provide vast amounts of actionable data in real time. Organizations of all kinds and across all industries use this information to create new operating models, bring products to market faster, and develop more efficient business processes. Discover how companies are experiencing the improved business results achieved through IoT deployments. Fast Communication – High-speed networks like optical fiber and 4G have made uninterrupted data transfer possible. Affordable Sensors – In the last ten years, the cost of sensors has been reduced by more than 50%. Cheap Storage – The cost of storage has almost become negligible. The major investments of IoT have been towards the development of smart homes and healthcare innovations. Venture Capitalist also invested largely in wearable technologies and user interfaces that control data from connected devices. In the United States alone, nearly 551 companies are actively developing IoT solutions across all industries. The UK and Canada follow it with 40 and 37 companies respectively. Organizations associated with Energy and Utility sector are one of the earliest adopters of IoT. These companies gain a lot from IoT in terms of reduced risk, improved customer service and increased operational efficiency. Smart grids and smart electricity meters have largely increased the efficiency of power usage by detecting the power leakage sources. The total installed base is predicted to reach 1.1 billion smart meters by 2022, according to Navigant Research. The IoT innovations like Pill Cameras and Patient Monitoring Systems have transformed the way healthcare is delivered. In the healthcare sector, IoT has been gaining attention in recent years. It enables doctors or health practitioners to communicate patients in more advanced ways. Wearable smart devices that monitor and track physical activities have gained a better response from people. A Verizon study stated that the participation of overweight individuals in a wellness program was increased by 86% when wearable devices were incorporated. IoT helps to monitor the functioning of various machinery parts and to report the event of any malfunction. The industrial and manufacturing companies are benefiting largely using this technology. With continuous monitoring of machinery, they are protecting their assets and people as well. IoT also allows analyzing manufacture process and physical attributes of the end products to determine whether their results have met the established quality standards. The transportation industry has adopted IoT in a big way. Using the IoT technology, owners are able to locate and monitor their vehicles more efficiently. They are saving time and fuel costs by assigning orders automatically, and also benefiting by enhancing customer experience. In future, cars are likely to become data collection hubs by delivering real-time information about traffic, shopping discounts, etc. The IoT-enabled transformation has developed massively in the last couple of years and will continue to do so. In the near future, we were supposed to have a home full of Internet-enabled devices that would cater our every need. 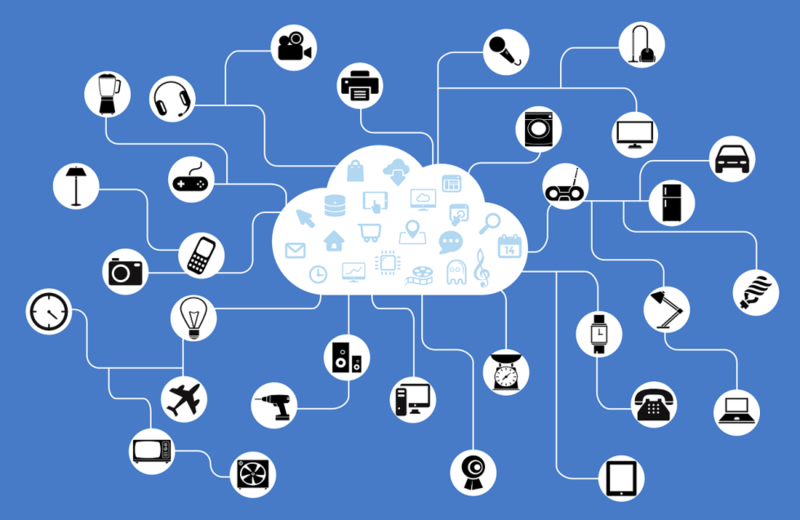 Experts estimate that more than 50 billion smart devices will be a part of IoT by 2020. IoT becomes an integral part of our lives and makes our lives more sophisticated than ever before. Vmoksha already has a couple of years experience in delivering end-to-end IoT solutions. This year, as per our clients’ requirements, we allocated more space for IoT projects across various sectors and helped them in transforming their business. We provide extensive smarter networking solutions that meet today’s highly dynamic digital world. Just think of the tremendous opportunities IoT brings for your business and society. If you want your business to get ready for the future, approach us today. We will support from the very start of your IoT initiative till the go-to-market.